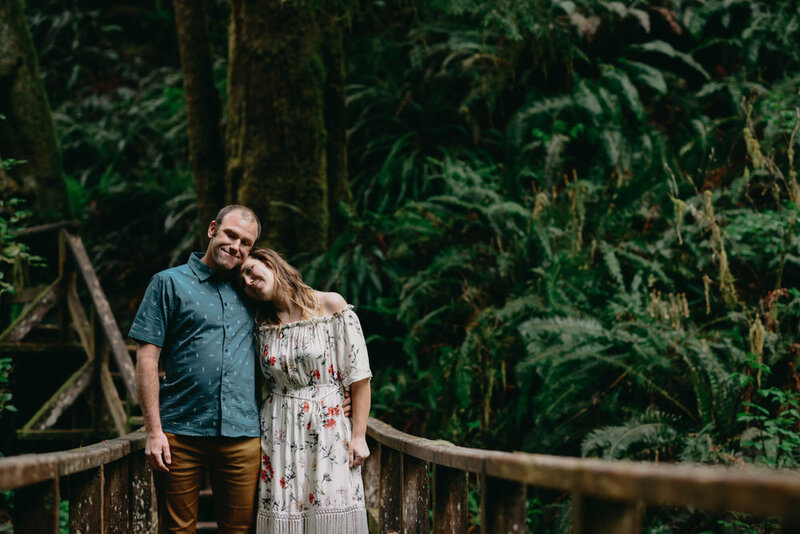 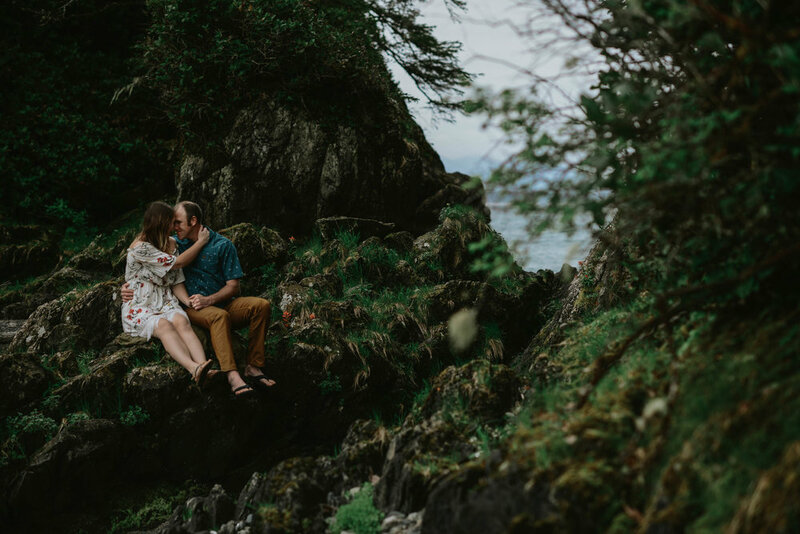 I first met Laura and Neville the day before their wedding at the Tofitian for coffee and treats and I knew pretty much instantly that we were going to get a long great. 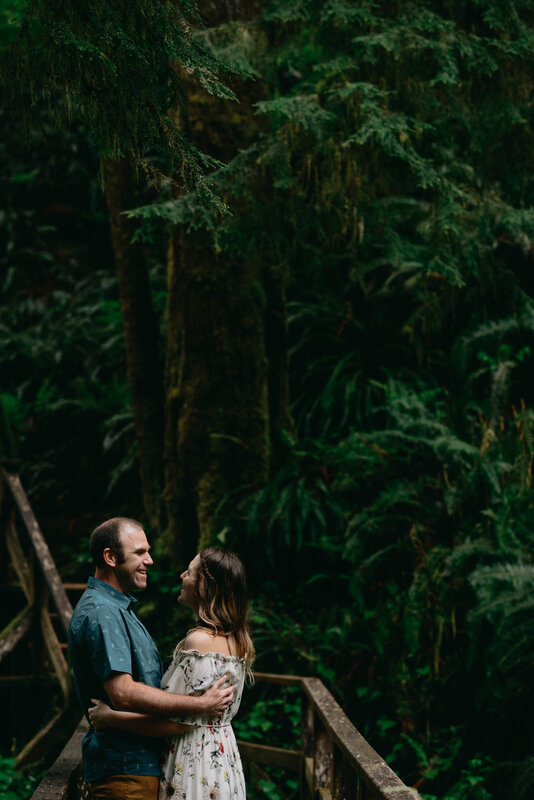 They live in Golden, Neville works as an avalanche forecaster, and Laura works with people dealing with mental health issues, they are lovers of the outdoors, insanely laid back and they had been gorilla camping for the past few days in the back of their truck.... my kind of people.. haha. 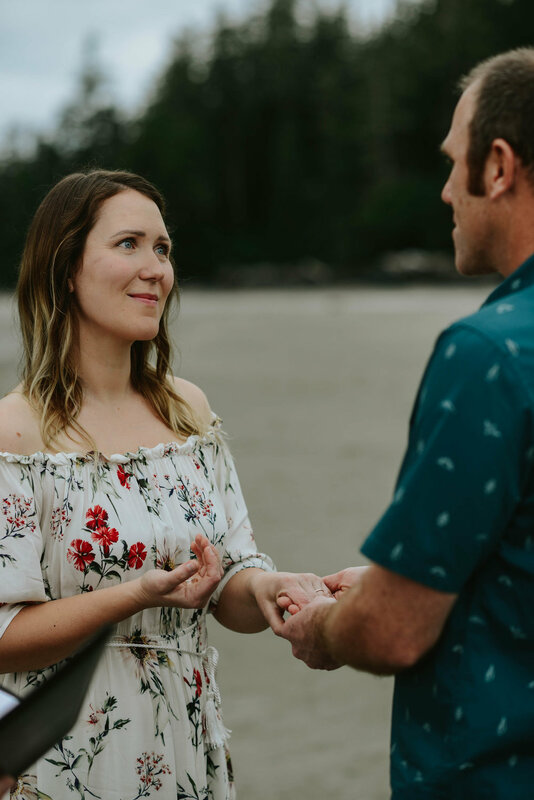 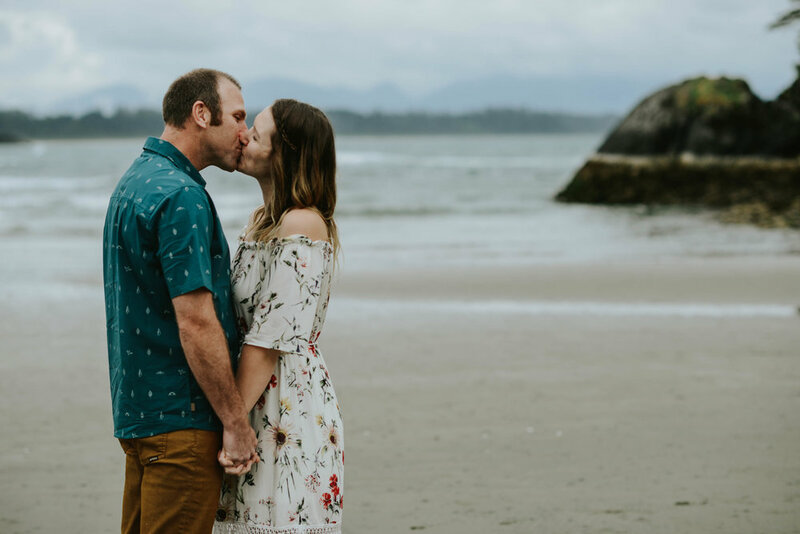 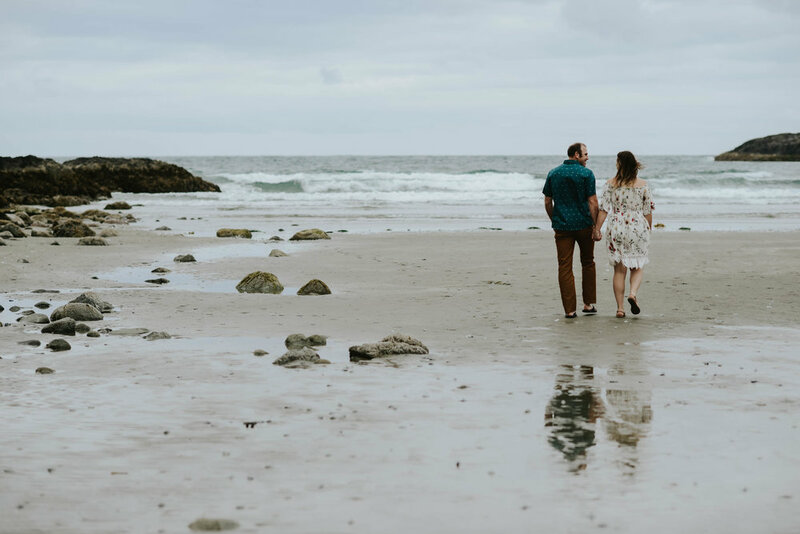 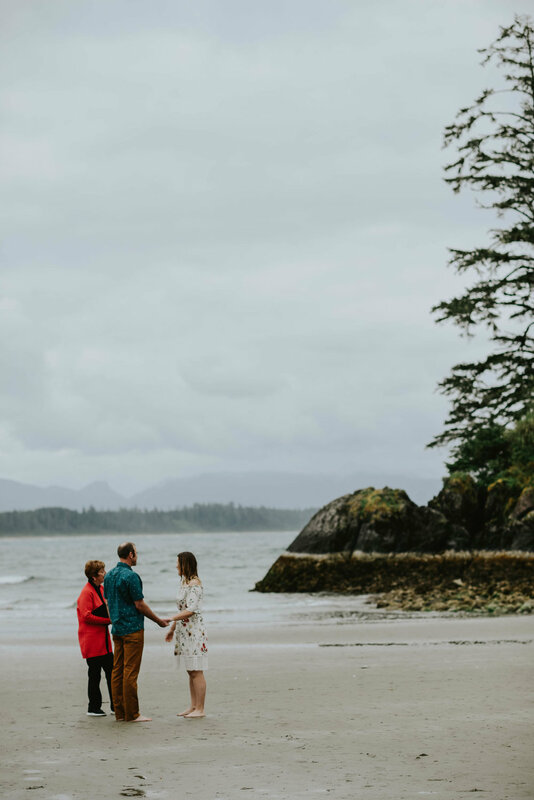 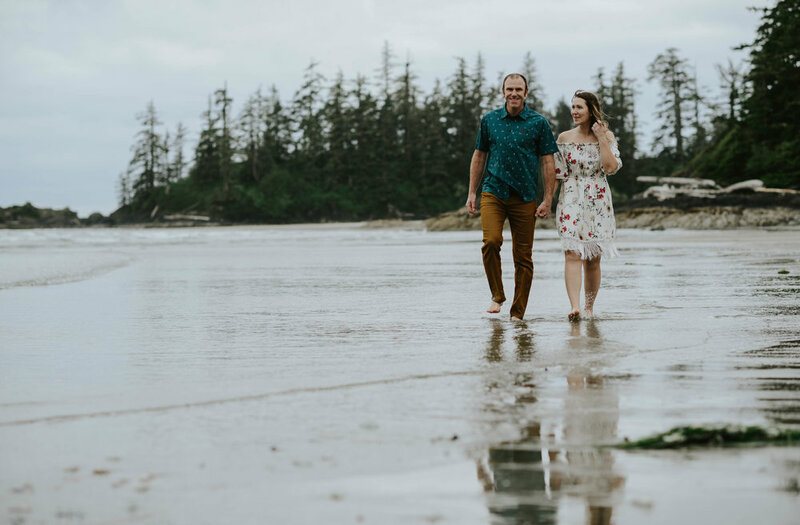 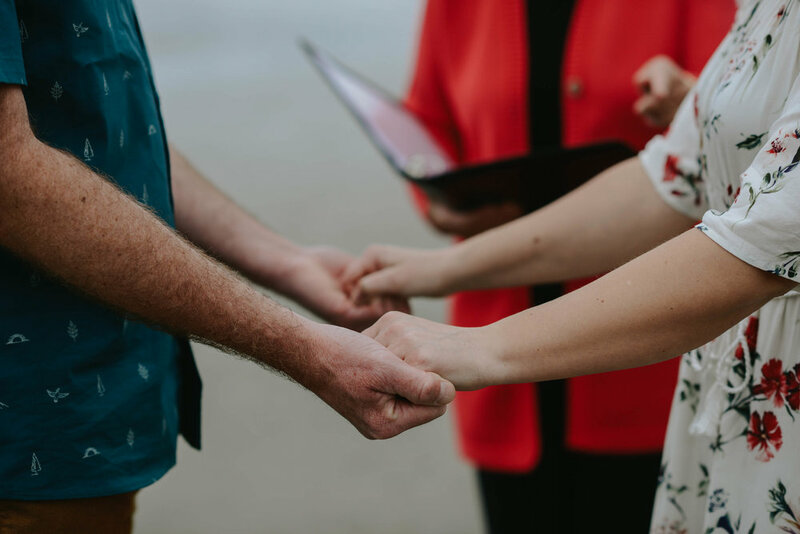 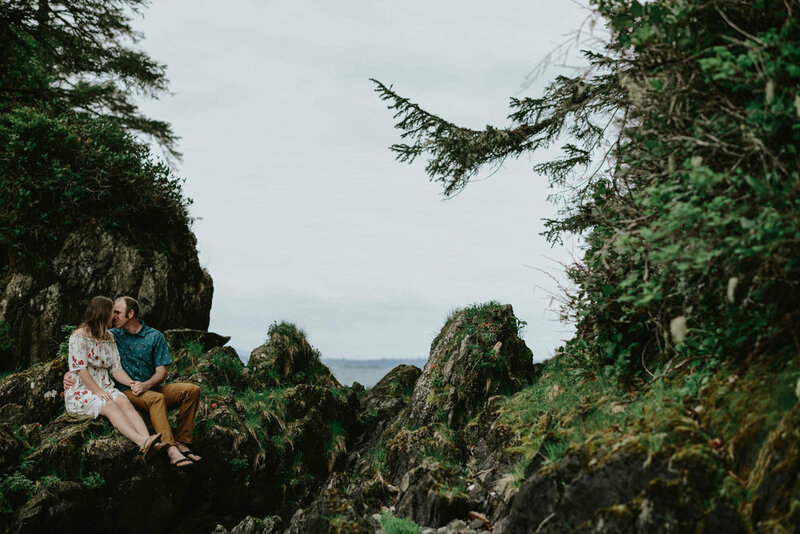 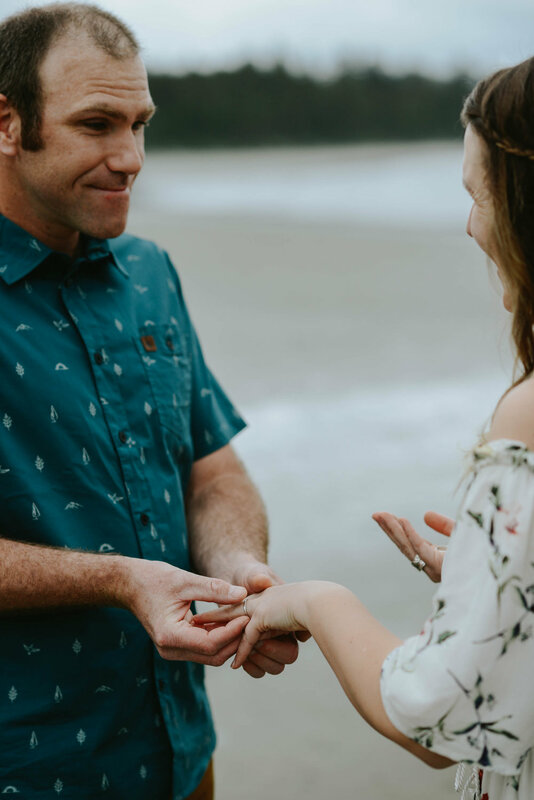 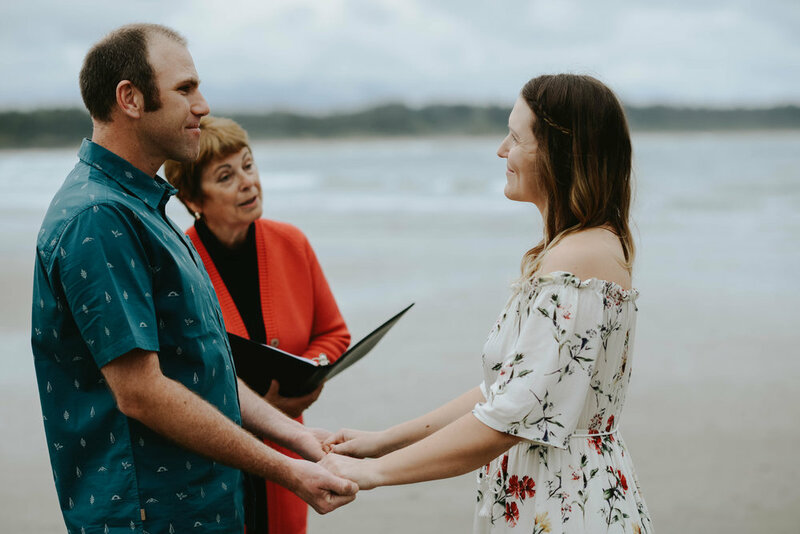 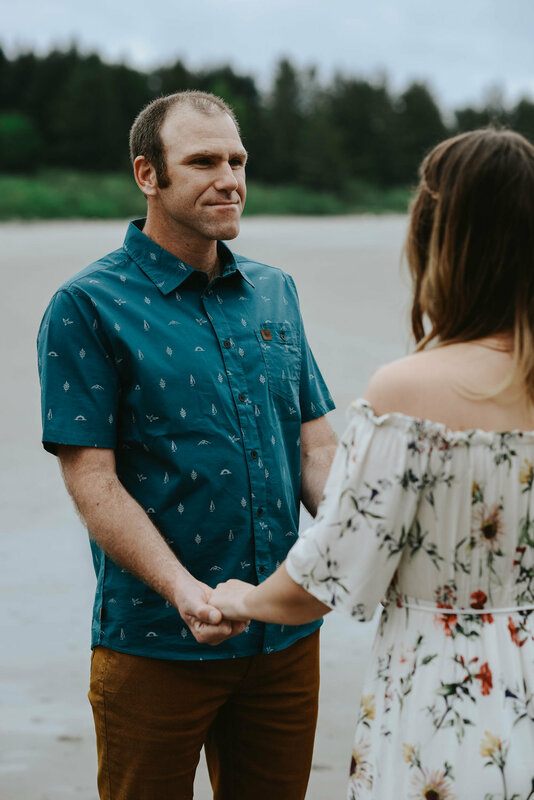 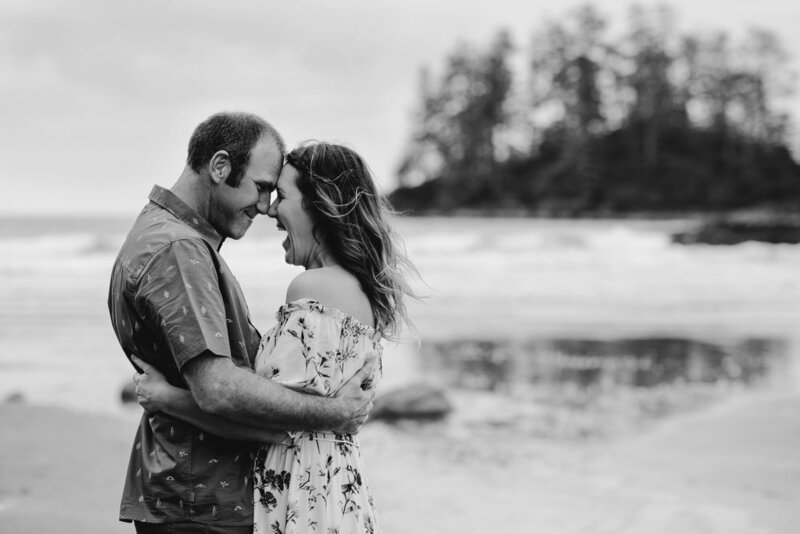 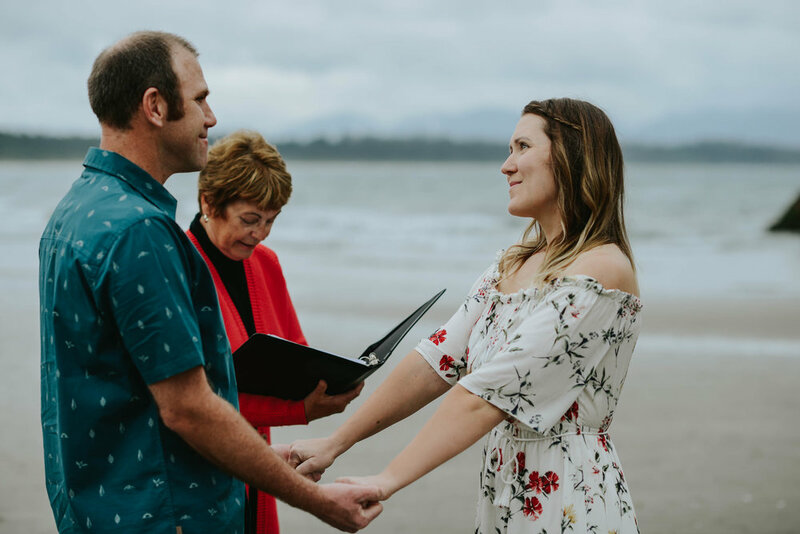 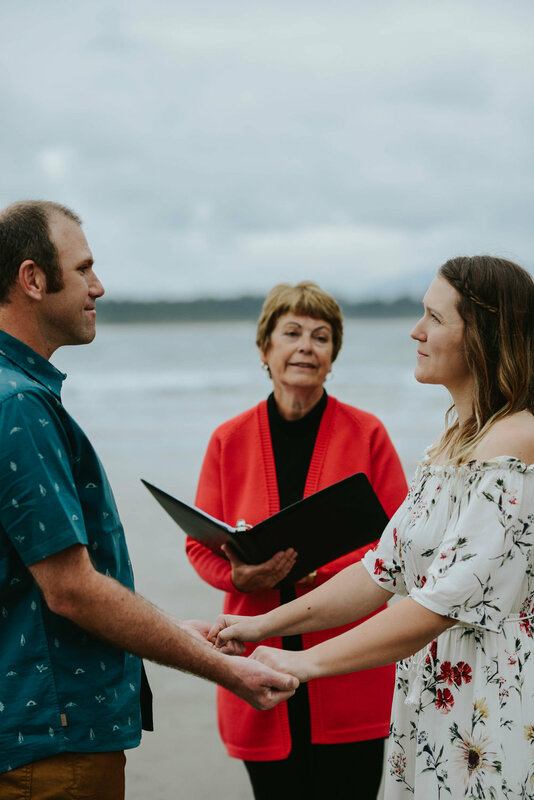 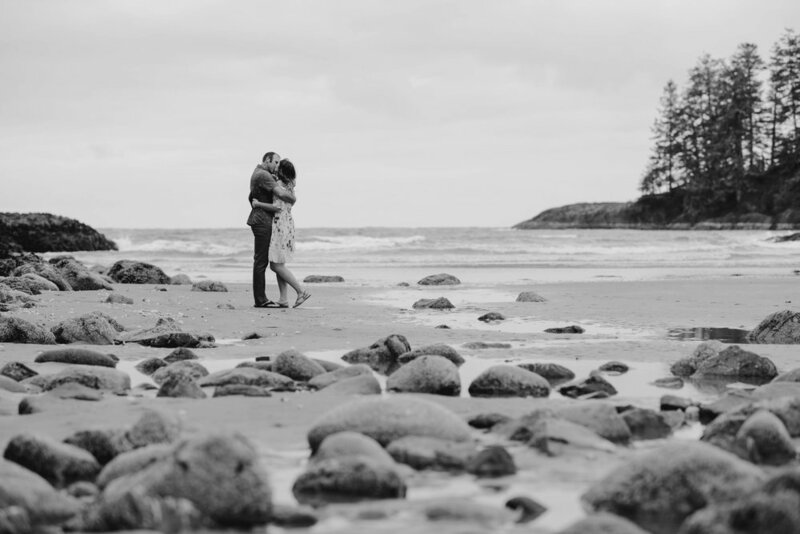 They opted to have their ceremony down at Schooner Cove, in Tofino BC, a beautiful beach that is well worth the walk to get there. 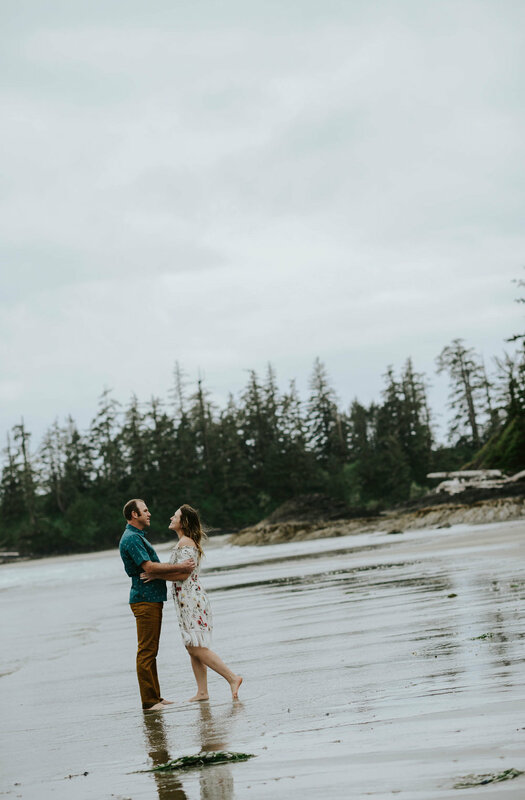 We timed it perfectly and passed a bunch of people leaving on our way down and when we got there was not a soul to be seen we had the entire beach to ourselves... 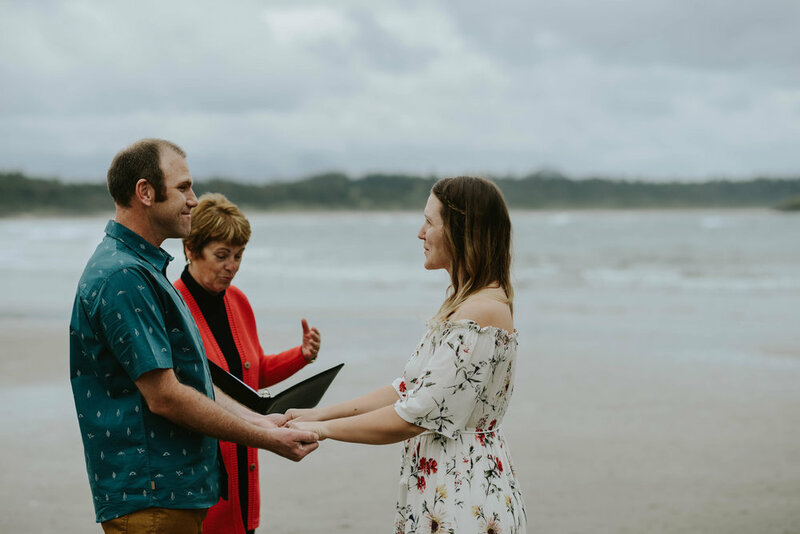 I can't really think of a more perfect way to get married.